A Texas native, Dr. Bita Kamali graduated from Berkner High School then attended the University of Texas in Dallas and went on to complete the hygiene program at Baylor College of Dentistry in 1996. 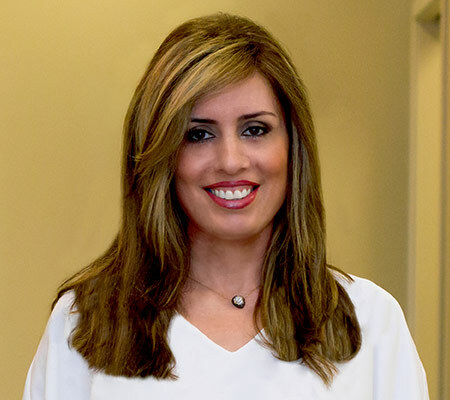 Shortly after pursuing her career as a dental hygienist Dr. Kamali fell even more in love with dentistry, and realized she wanted to pursue a career as a dentist so she continued her education and graduated from Baylor College of Dentistry with her dental degree in 2000. Dr. Kamali takes her passion for dentistry seriously and remains on the forefront of dental procedures, keeping up with the latest technology advancements in dentistry and incorporating the latest developments in her family practice. She absolutely believes that continuing education is an essential key to providing her patients with the exceptional care that they deserve. Dr. Kamali lives in Frisco with her husband Sean, and their two young boys who attend Frisco ISD. In her free time Dr. Kamali enjoys watching her boys play soccer and spending quality time with family and friends. When you’re looking for a dentist in Plano, you probably have a few requirements. 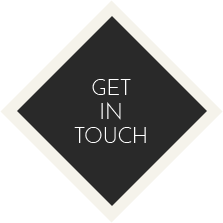 Most people want someone who’s located close to home or work, and they also need a professional who’s known for doing good work. If that sounds like you, we’ve got good news -- Dr. Bita Kamali is the best! She’s the female dentist Plano trusts with its smiles. Keep reading to learn why families and friends choose our office for their dental needs, then schedule an appointment for superior care today. What makes Dr. Bita Kamali a top provider of dental care in our area? It’s simple -- she’s the female dentist providing families with comprehensive services and a gentle touch. Patients of all ages love visiting our office because they know they can count on Dr. Kamali to meet all their smile needs with the skilled, personalized approach she’s known for. Dr. Kamali began her career in dentistry as a dental hygienist, so she has broad experience in all areas of dentistry. She soon recognized, however, that she wanted to take her skills even further and earned her doctor of dental surgery from Baylor College of Dentistry in 2000. Now, she has almost 2 decades of experience providing everything from general and preventive care to restorative treatments, cosmetic services, and the sedation dentistry that helps you really relax in the dental chair. Whether you need regular preventive care or something more complex, like root canal or tooth replacement, Dr. Kamali has you covered. She and her team invite patients of all ages to visit our office for a checkup and cleaning every six months. If an issue like tooth decay or gum disease is present, she will put together a plan for restorative care to help you enjoy solid oral health once again. After you have achieved stable oral health, Dr. Kamali can help you enjoy the beautiful smile you really deserve with our list of options in cosmetic dentistry. At-home and in-office professional teeth whitening provides a quick rejuvenation for aged teeth, and porcelain veneers are like a do-over when your smile needs a real overhaul. You’ll even find Invisalign, clear braces for adults and teens, at our office. Visiting the dentist does not have to be a stressful experience, and your woman dentist in Plano firmly believes it shouldn’t be. With sedation dentistry, some patients are so at ease they even doze off during their time in the dental chair! Just let Dr. Kamali know you would like to be more relaxed throughout your upcoming appointment, and she will determine the method of sedation that is best for you. Come Visit the Female Dentist in Plano! Plano families and friends find superior care from Dr. Kamali and her dental team. If you’re looking for the very best dentist for you and your family, you don’t have to go far. Contact us to schedule an appointment with the woman dentist in Plano today!